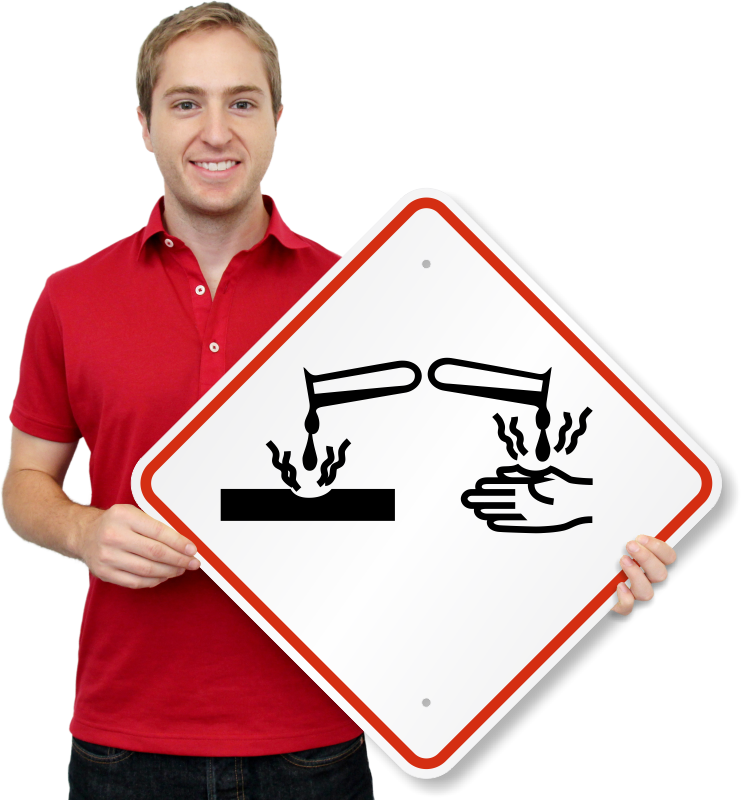 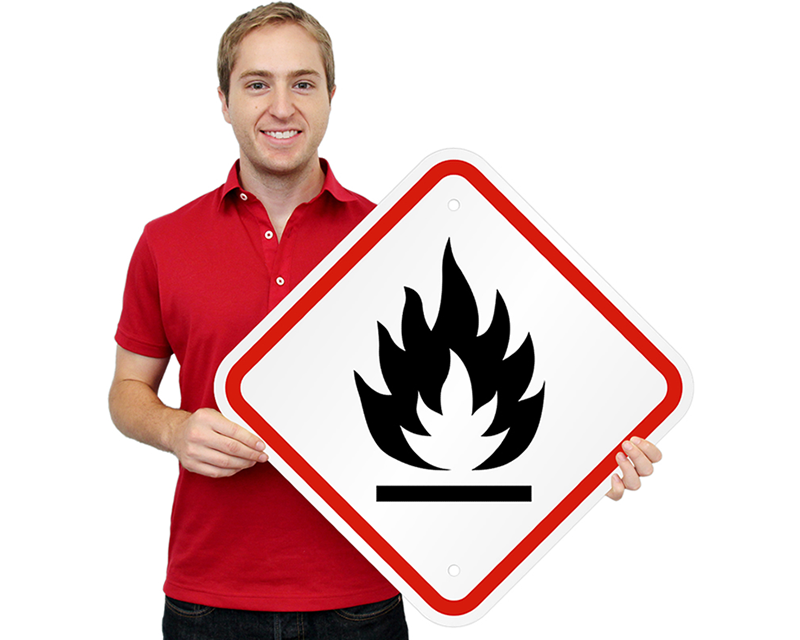 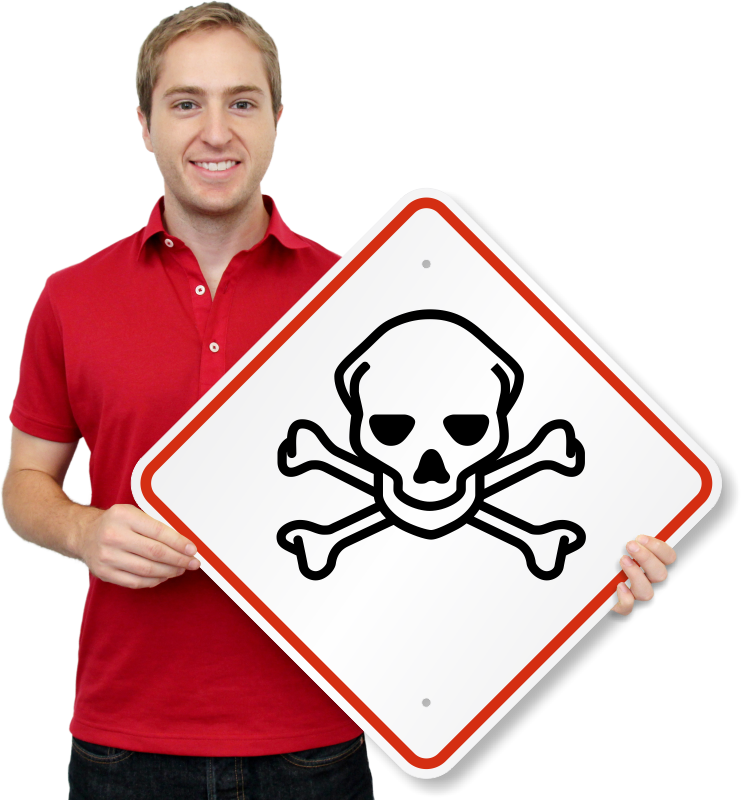 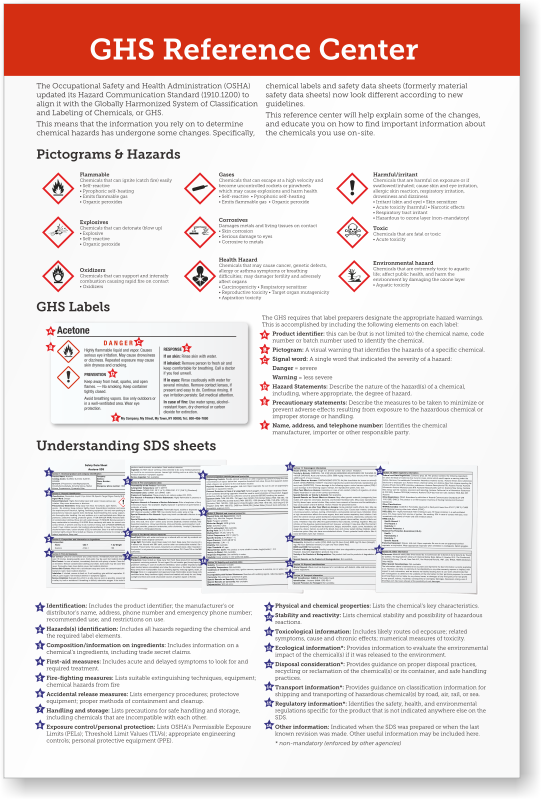 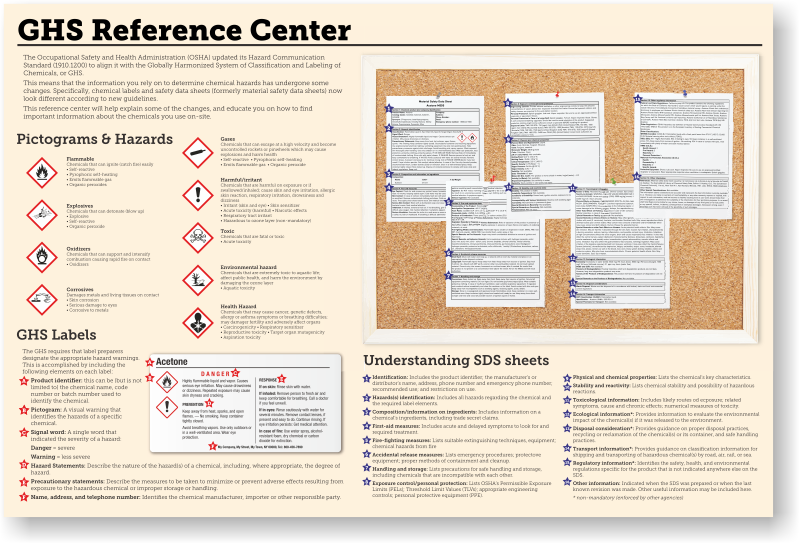 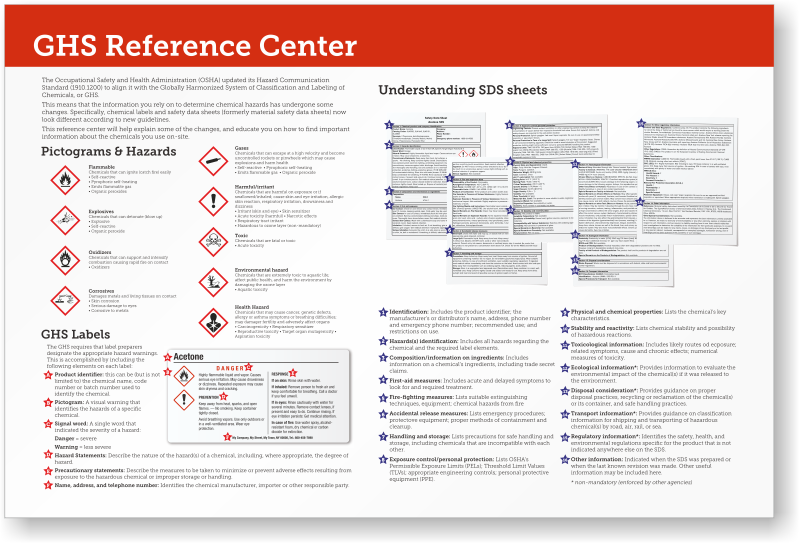 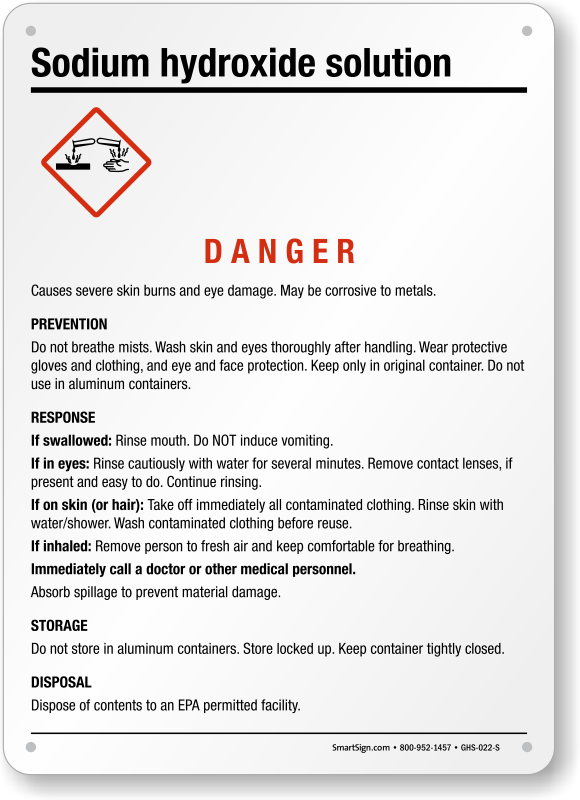 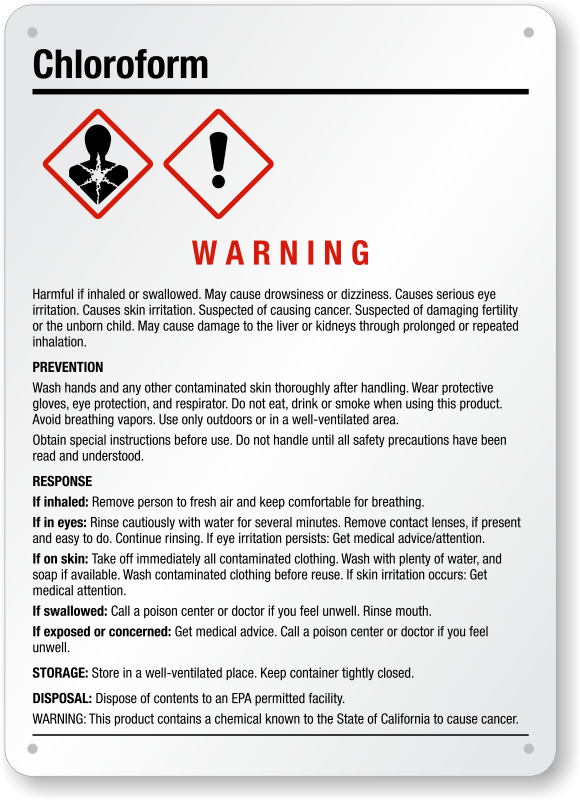 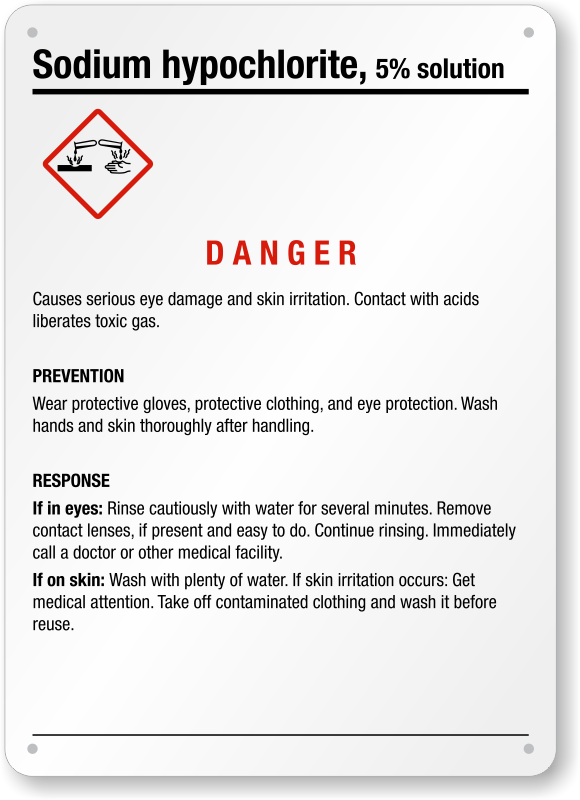 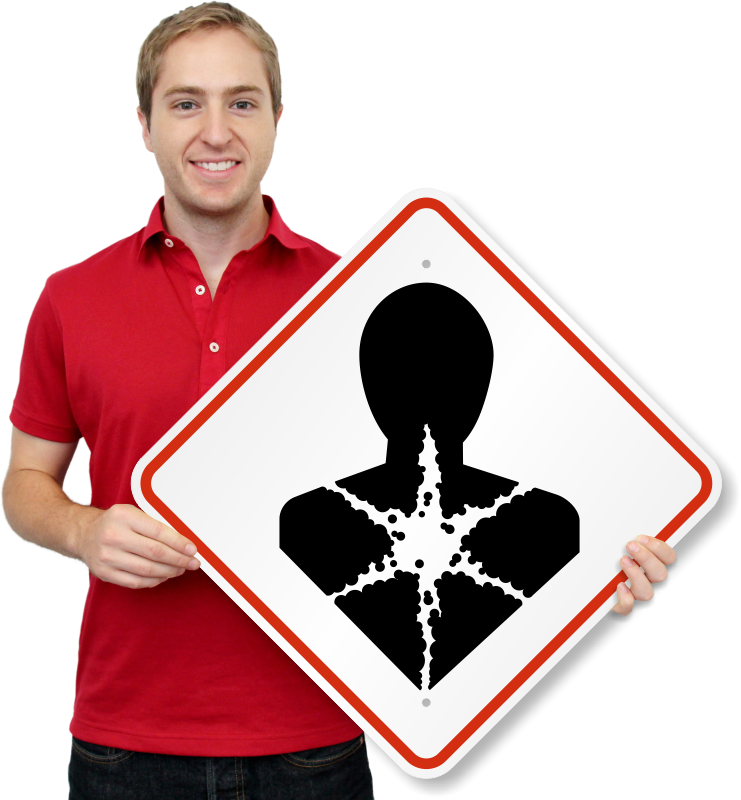 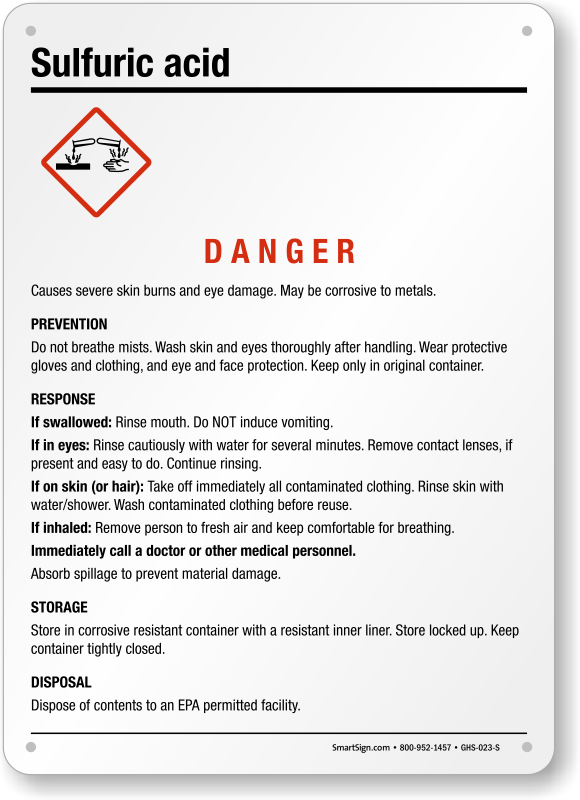 Place GHS signs to organize how you classify and label chemicals in your facility. 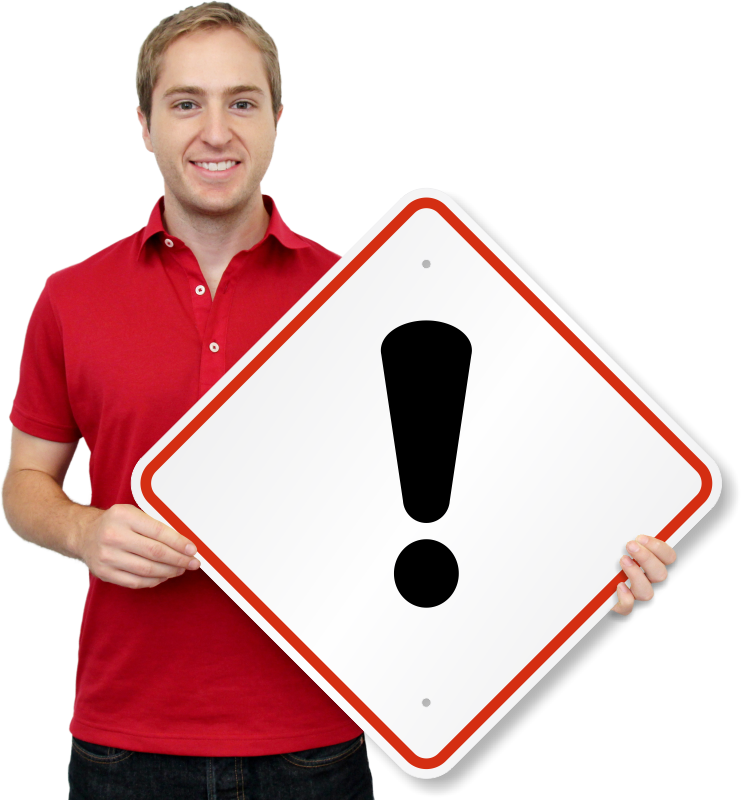 A comprehensive system ensures that all companies follow the same specifications. 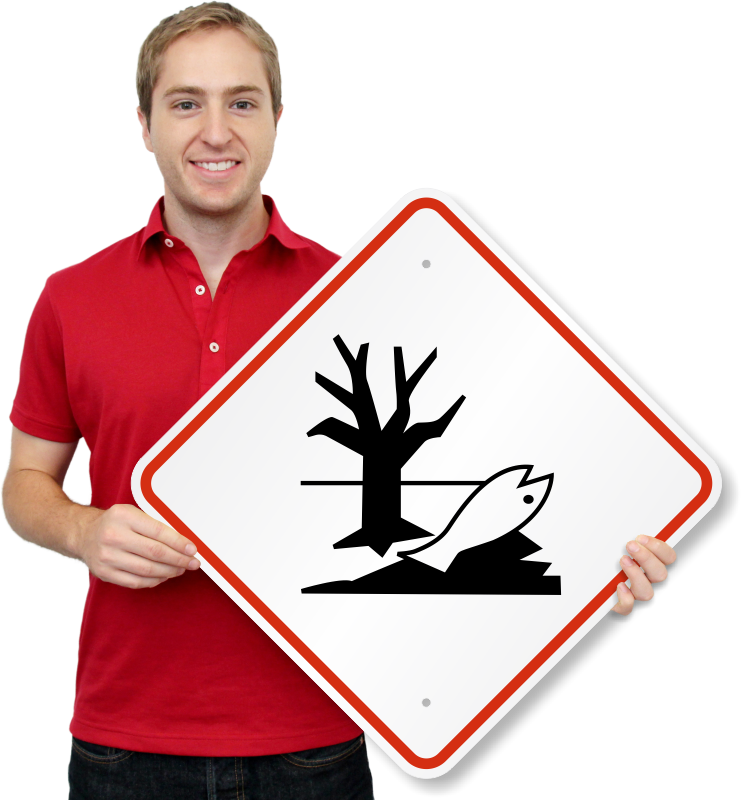 Prominent, international symbols help everyone follow important procedures and precautions. 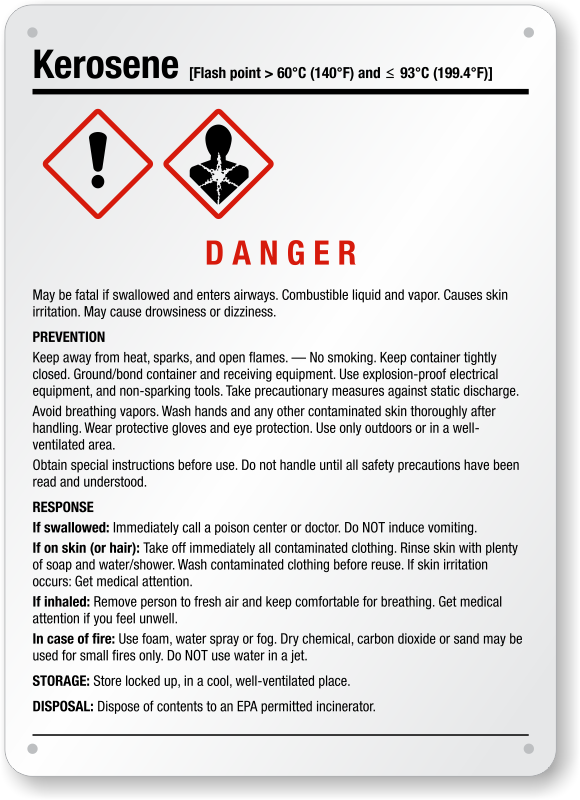 • Available in variety of sizes and resilient materials to resist chemical abuse, water, and extreme temperatures. 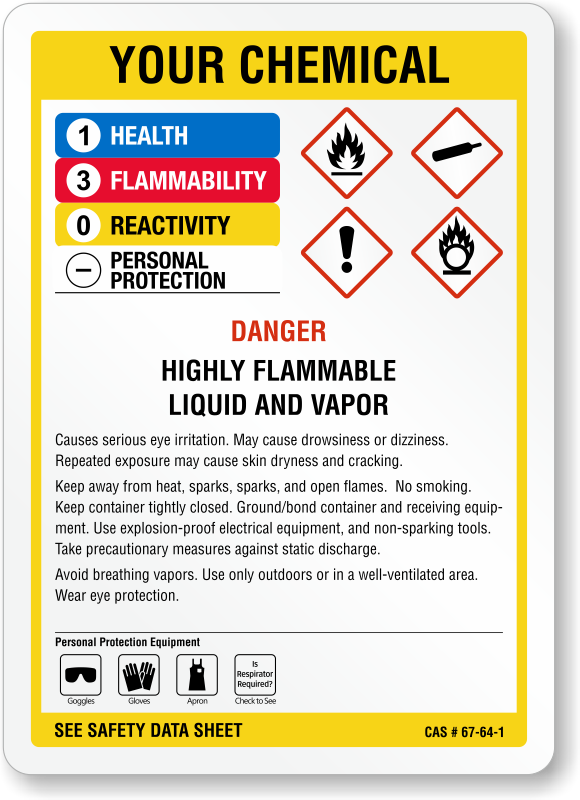 • Predrilled holes and rounded corners prevent frays, tough corners, and injuries during installation. 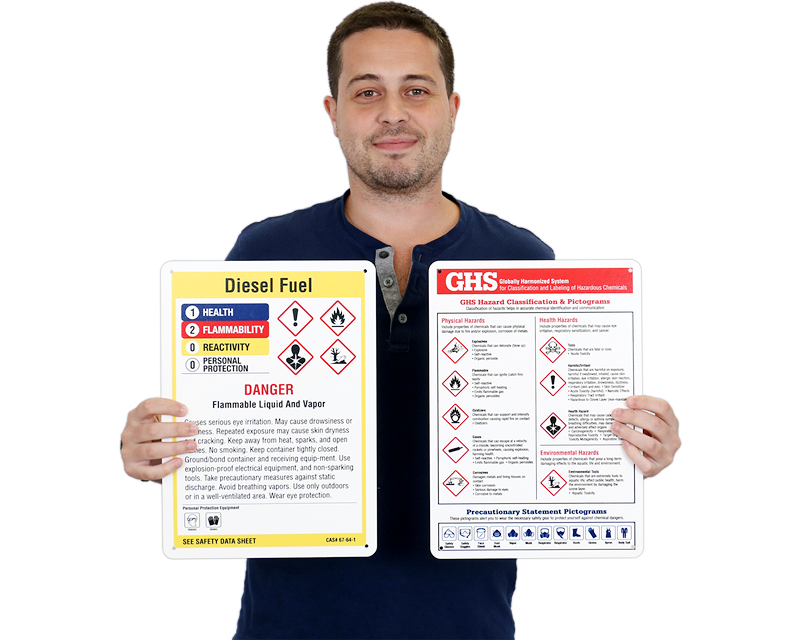 • Durable 3M materials last up to 10 years outside. 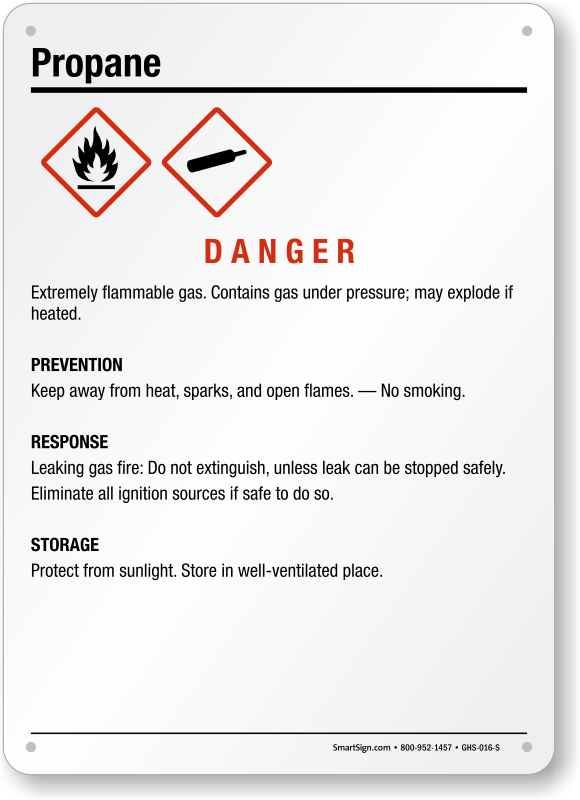 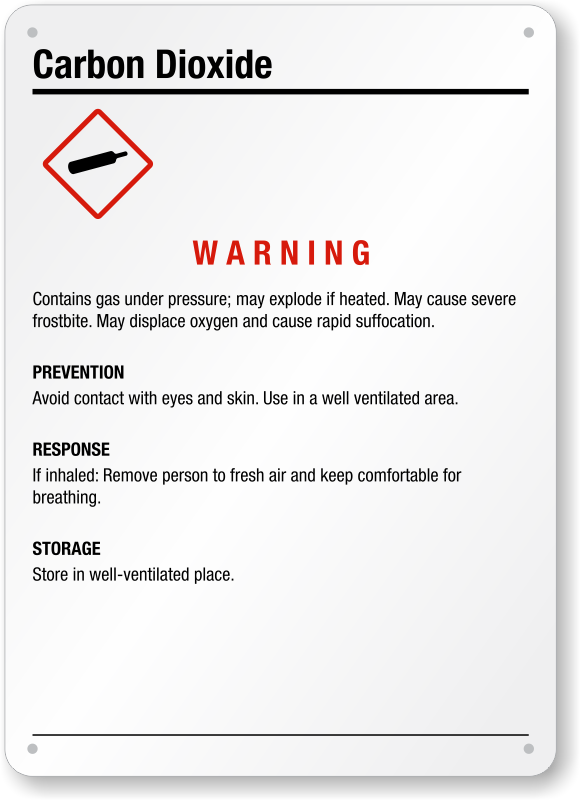 Keep your employees informed and safe with GHS wallet cards. 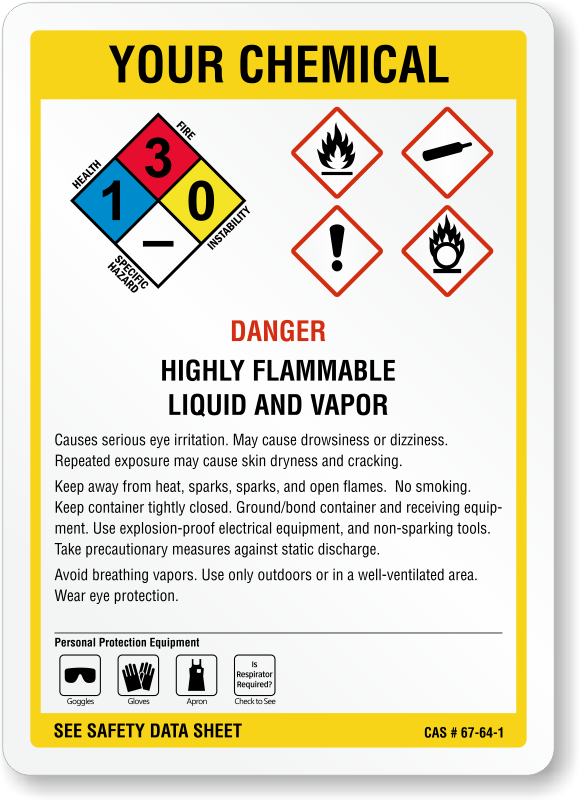 These are available in sizes ranging from 5” x 5” (about 7” tip-to-tip) to large signs that are 30:” x 30” (or 42” tip-to-tip). 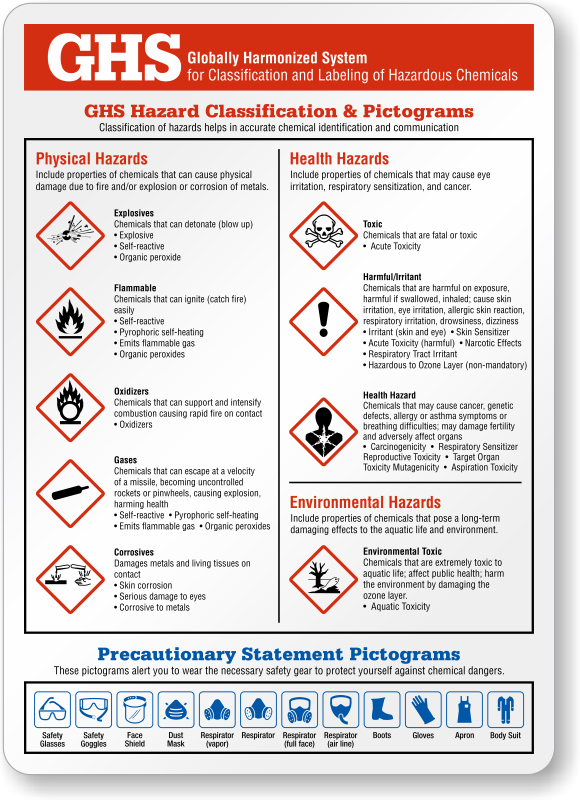 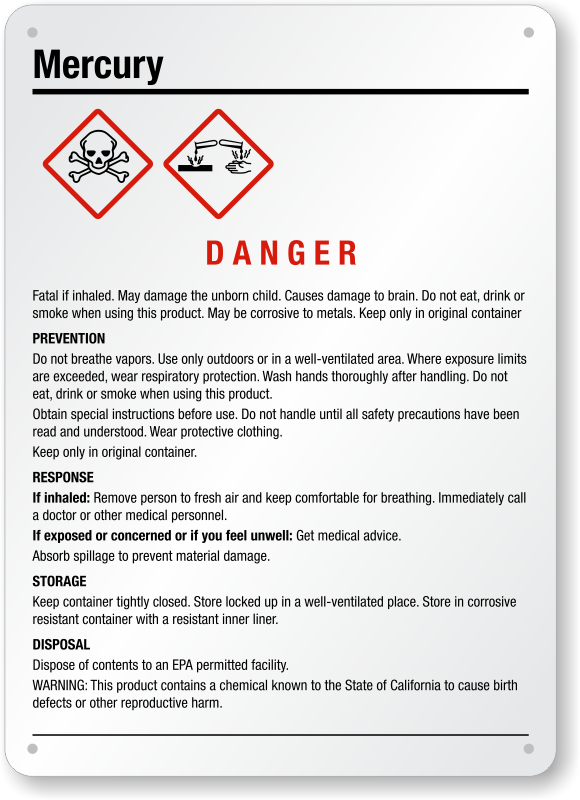 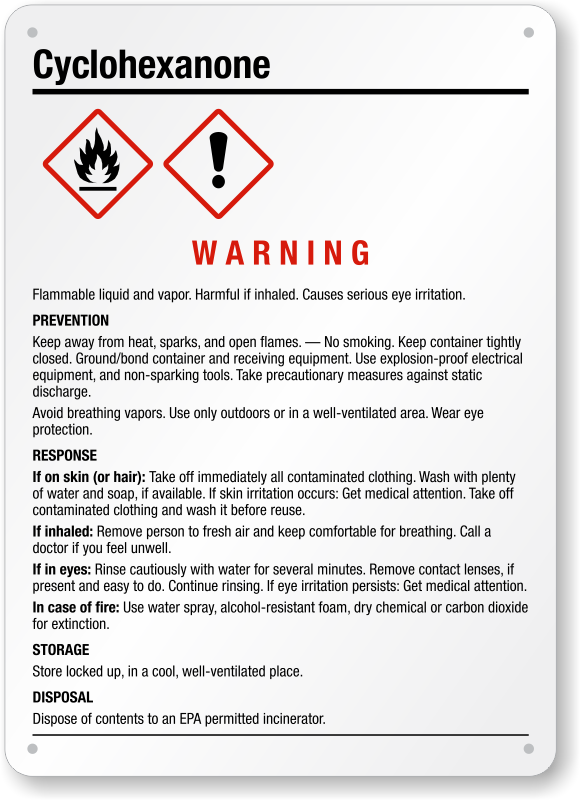 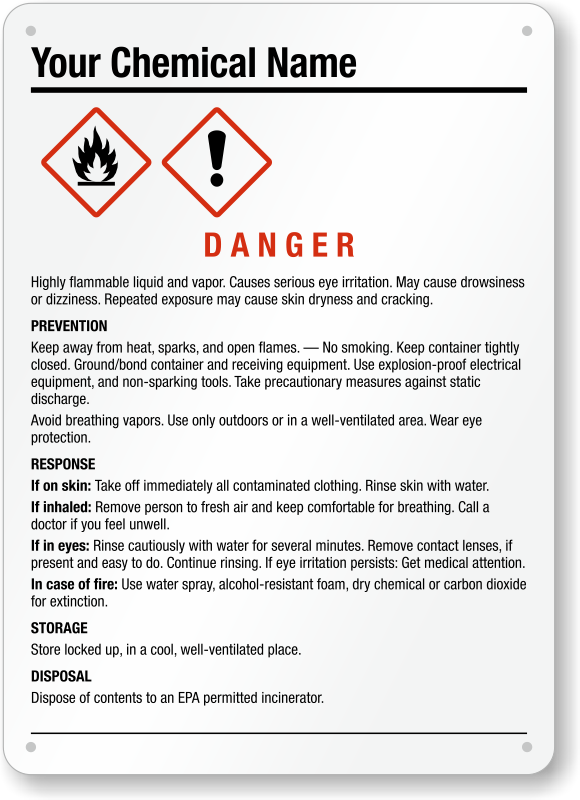 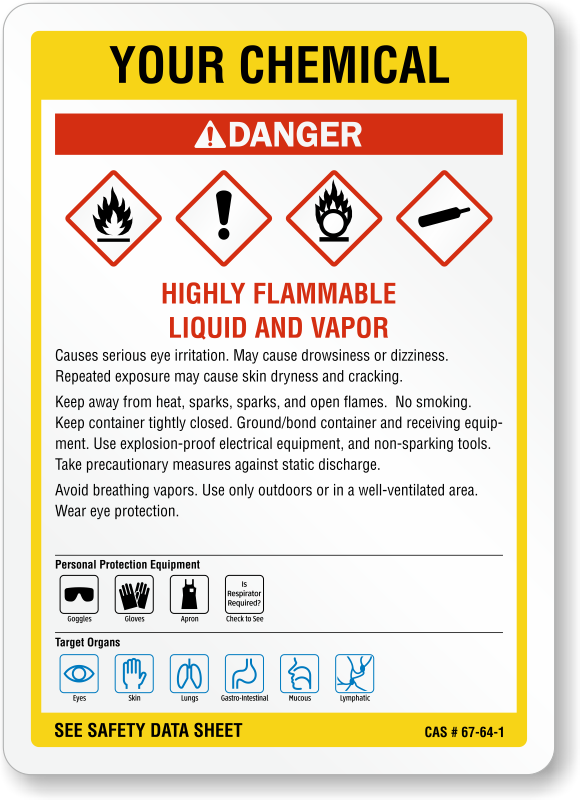 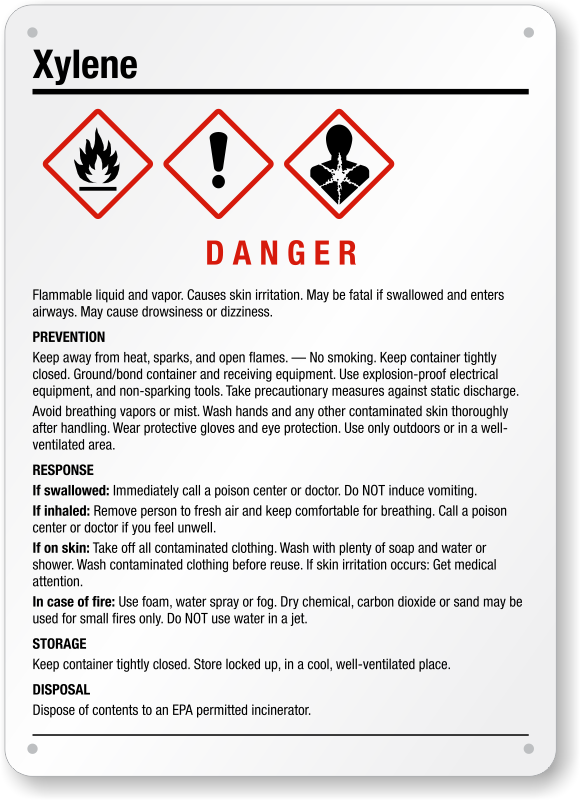 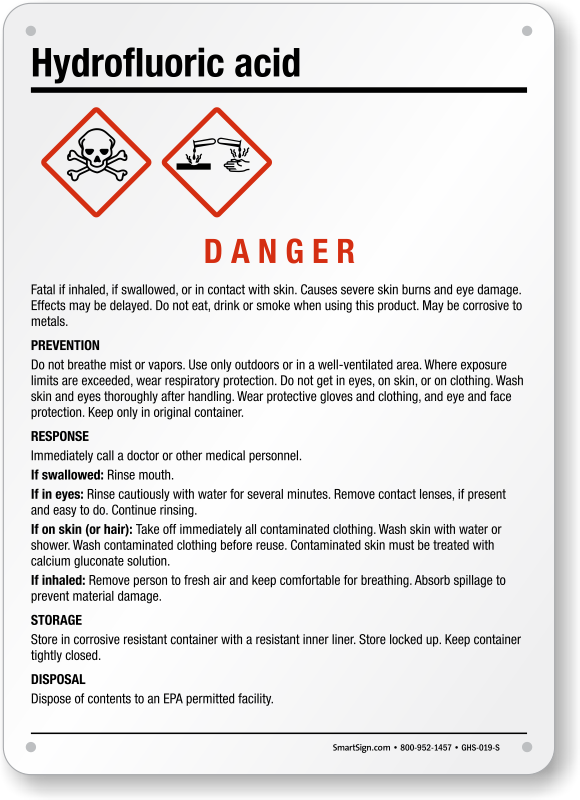 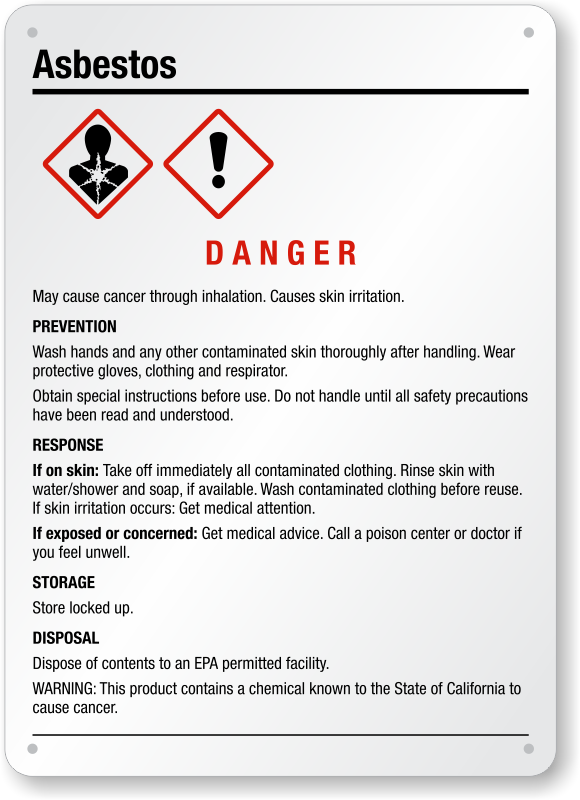 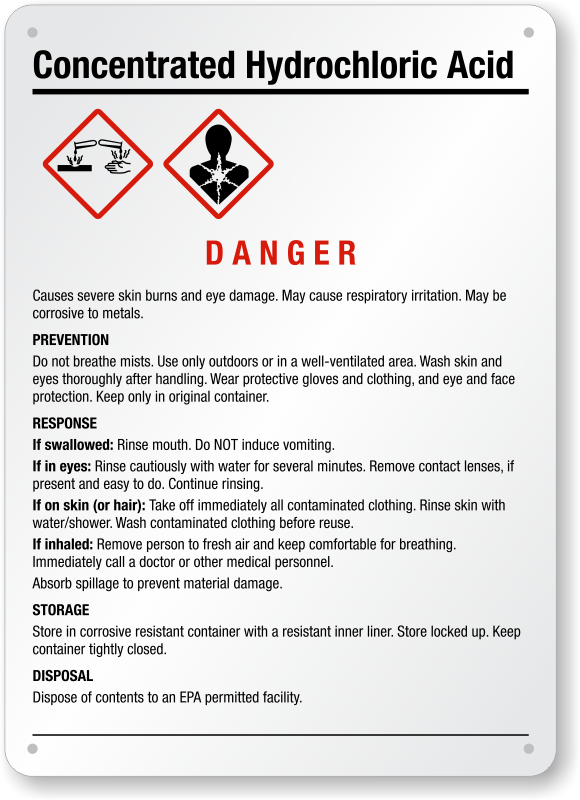 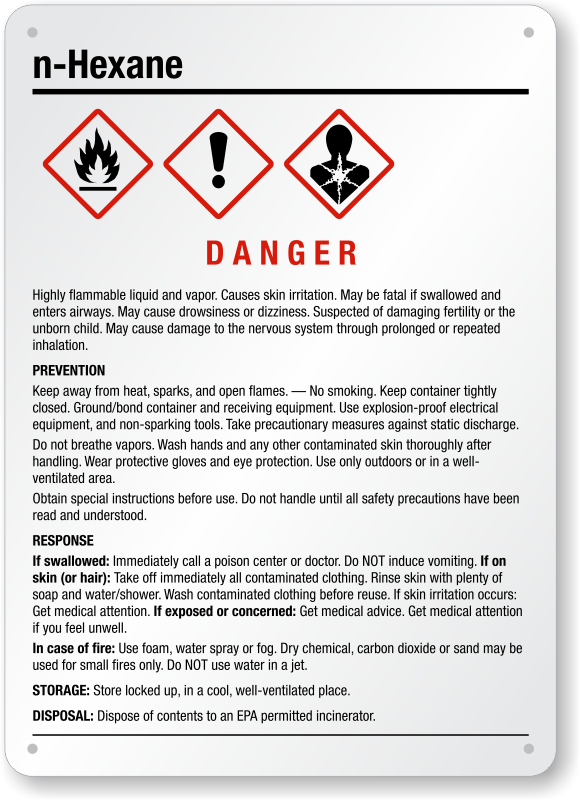 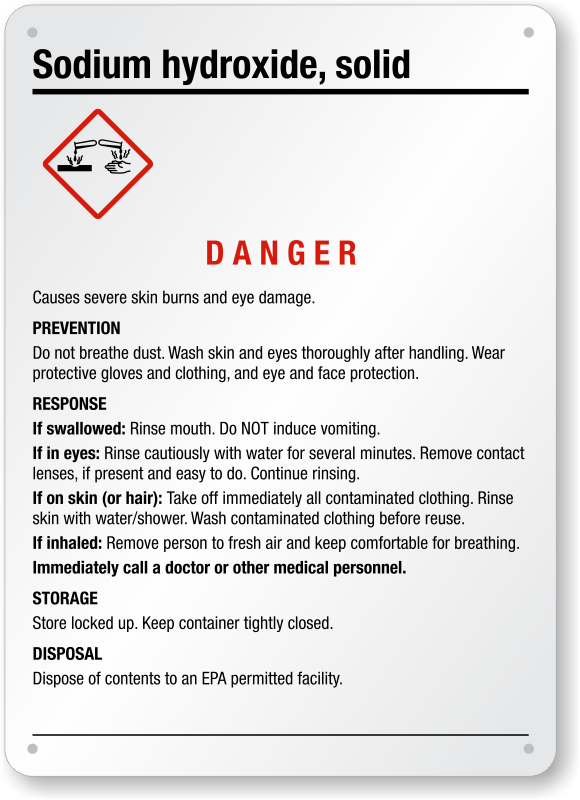 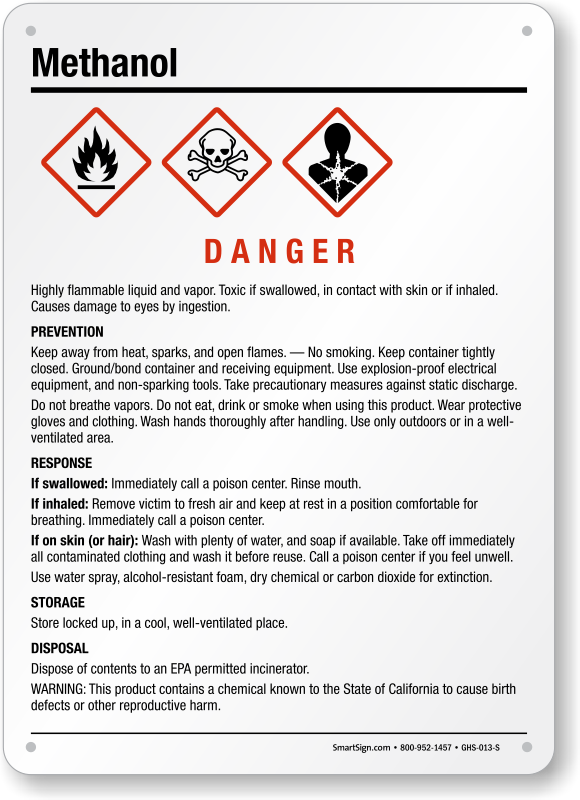 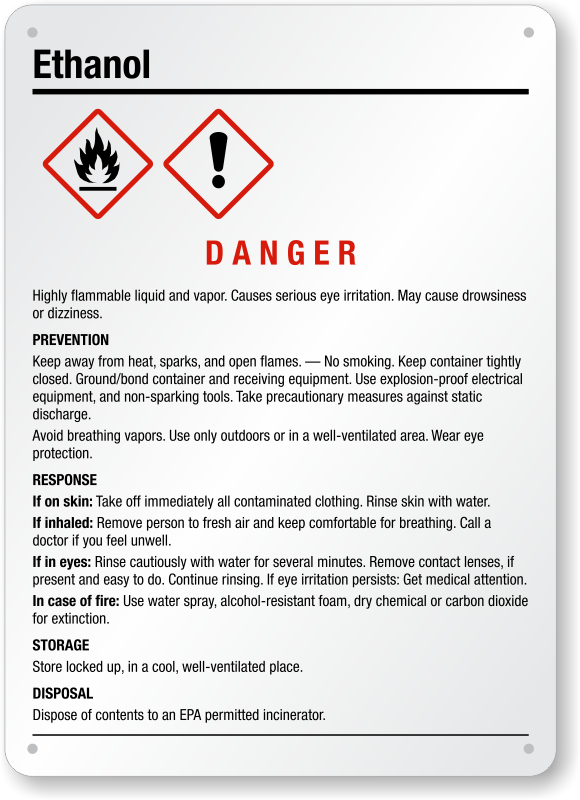 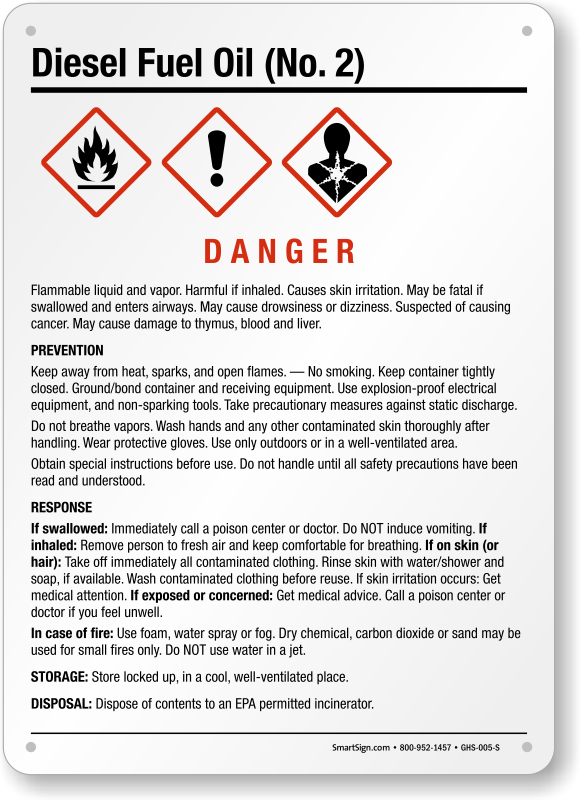 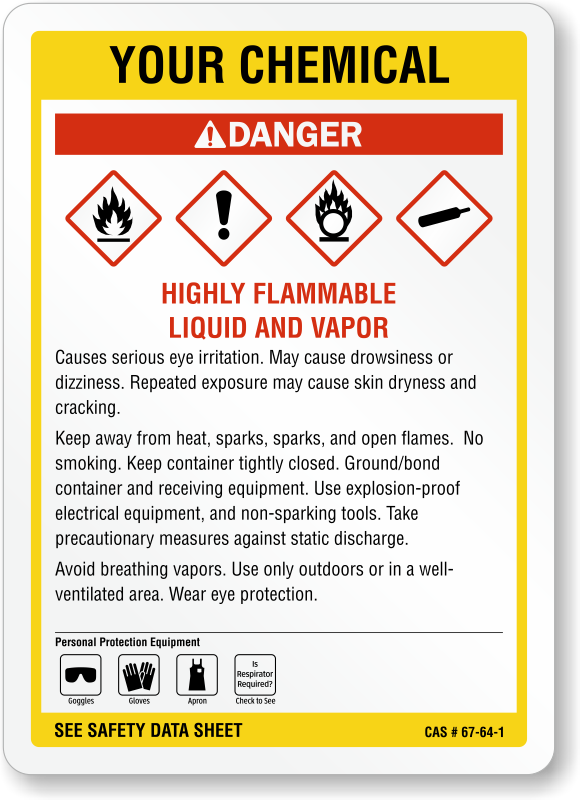 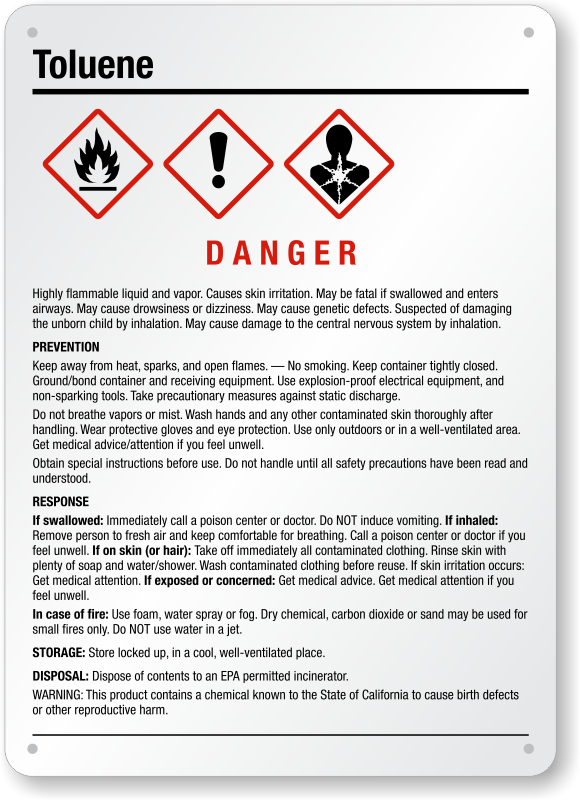 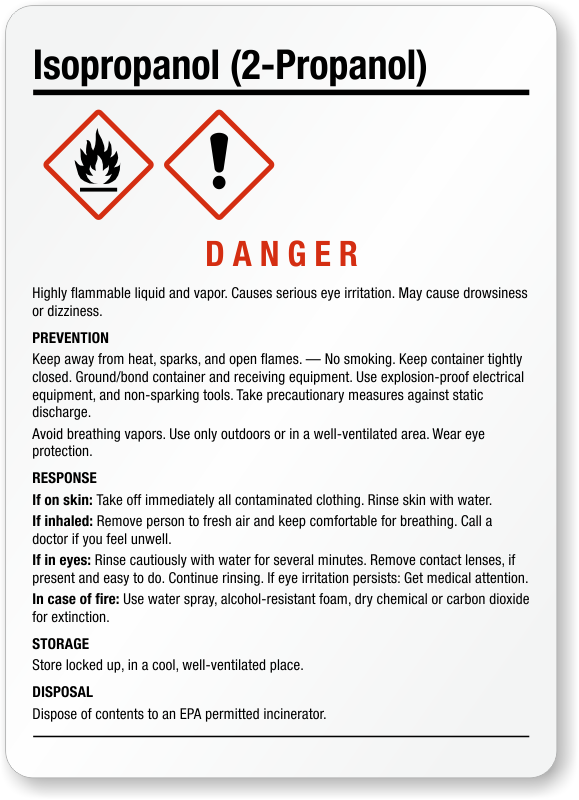 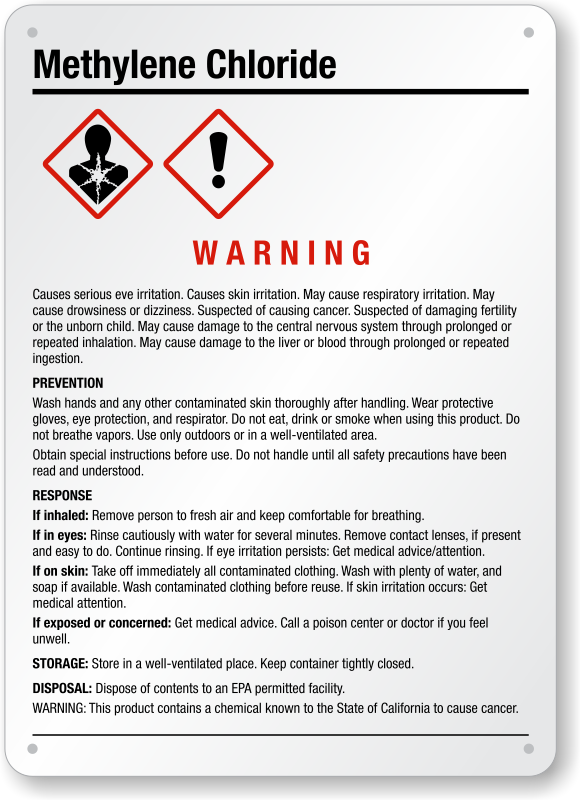 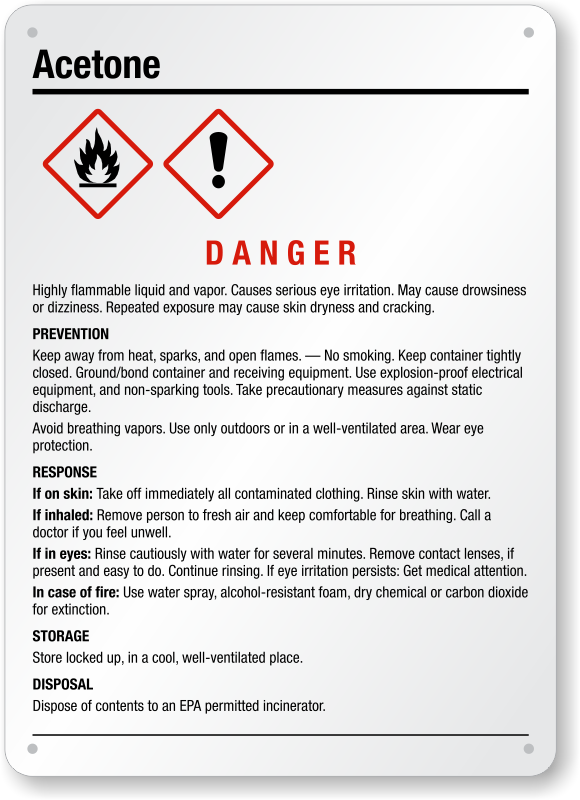 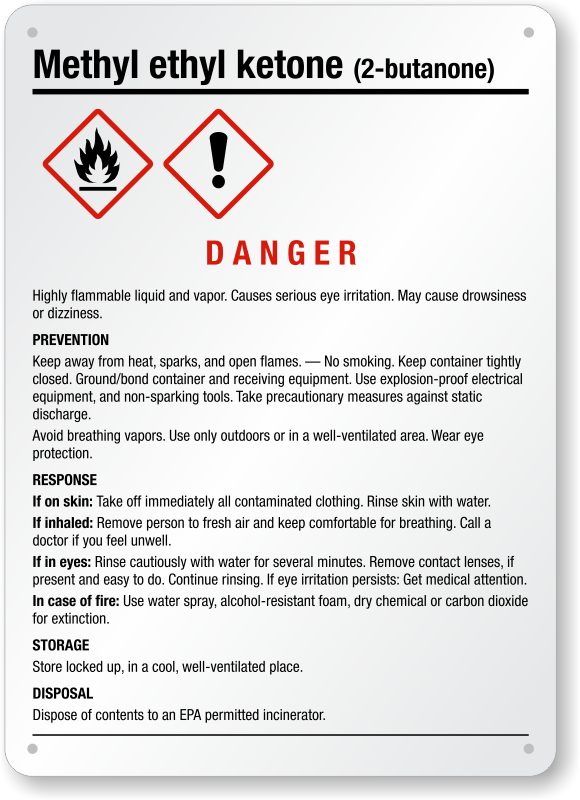 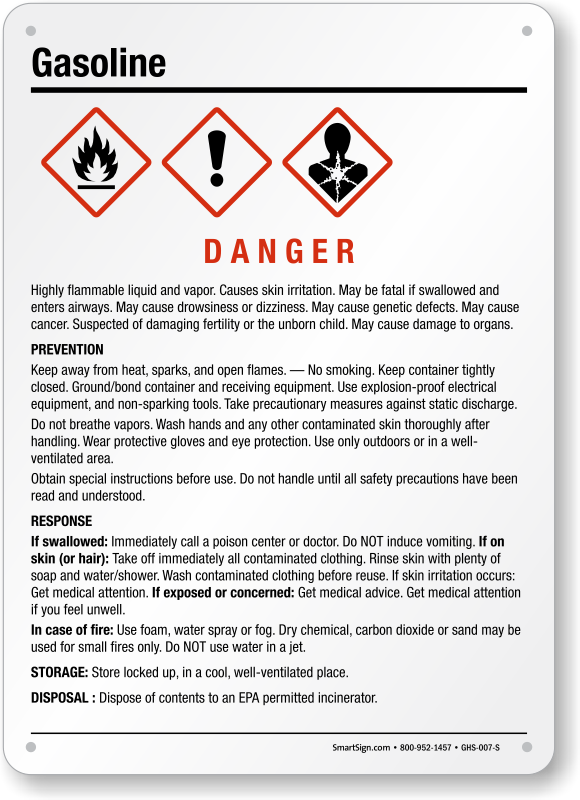 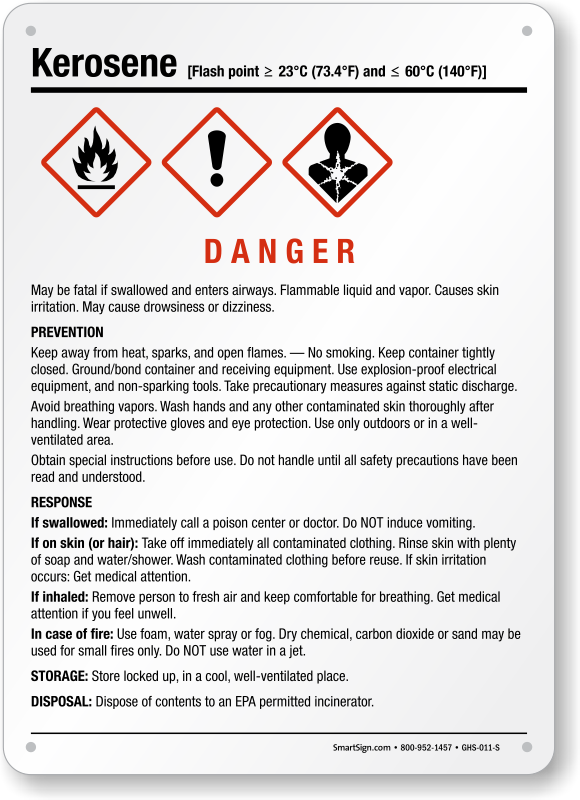 These are the only signs I have found that have the GHS pictograms AND the PPE symbols, easy to read, colorful and hopefully durable. The signs were the perfect size and material for what we needed them for. 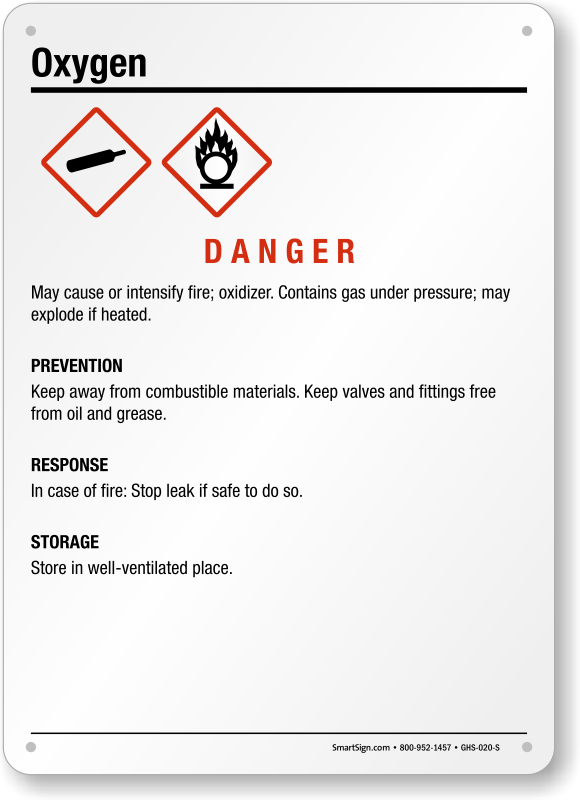 Exactly as it should be - perfect!